Exclusive: The Texas Gentlemen Step Out on Their Own With "Habbie Doobie"
North Texas roots-rock collective The Texas Gentlemen—to this point best known as an ace backing band that’s played with everyone from Leon Bridges and Nikki Lane to Kris Kristofferson and Shakey Graves—are making their own name today. The band has signed to New West Records, announced their debut record TX Jelly, due out Sept. 15, and shared a lively video for album opener “Habbie Doobie,” which you can watch exclusively via Paste above. Directed by Speed Bump, the video makes for a delightful intro to the outfit. The clip joins the Gents in their Modern Electric Recorders studio in their hometown of Dallas, where they deliver the infectious country-funk number like the pros they are and have plenty of fun doing it. Come for the armadillo race, but stay for the Lone Star State-sized talent on display. We set up our own version of Rock ‘n’ Roll Summer camp and invited our friends down to FAME studios. We figured at worst, we would have a great time as friends hanging out in one of the most historic studios in America. There was so much mojo once we turned all of the gear on—sounds just started popping out of the speakers, and the song-writers couldn’t help but feed off the energy. 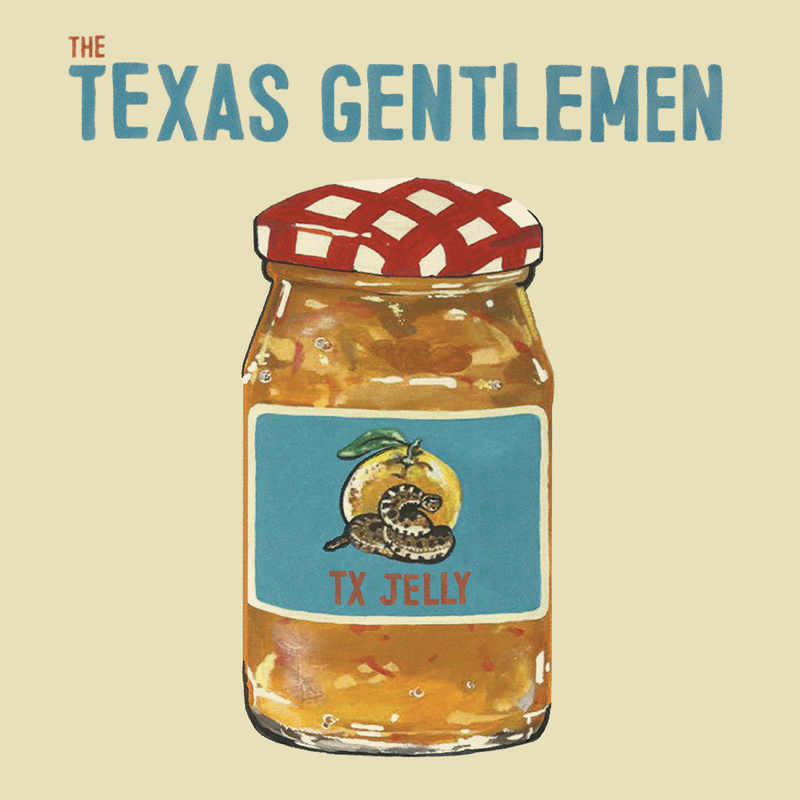 TX Jelly is the fruition of years of kinship and a deep hunger by our collective group for American roots music. If its first track is any indication, Bedford and company’s TX Jelly is going to spread far beyond the boundaries of Texas. These Gentlemen are the real McCoy. Watch the “Habbie Doobie” video above, and find the TX Jelly tracklist and album art below, plus The Texas Gentlemen’s tour dates. You can preorder the album here.